The surrounding countryside and neighboring towns in the Itria Valley have maintained their social and economic aspects of a rural and traditional environment. 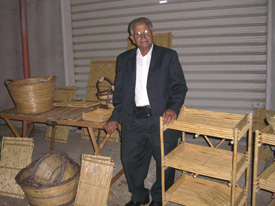 You can still observe a lifestyle and way of working that attempt to preserve and promote tradition. From the craftspeople working in stone and restoring the trulli, the ceramic artisans of Grottaglie, wood carvers, and basket weavers to the cultivation of small farms producing above all olive oil and wine. Throughout the year the towns offer a variety of occasions to take advantage of their intact beauty. Most notably is the opera festival in Martina Franca plus there are numerous other music festivals, feasts, markets, and fairs. 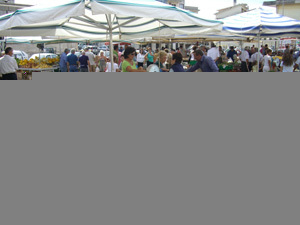 Each town has its own wide selection of restaurants and trattorie featuring local dishes. During the summer months the towns have a vibrant nightlife. The climate of the hills (about 1000 ft above sea level) which sit between the Adriatic Sea and the Murge Plateau is quite special. The rainy season is limited but the coolness of summer is guaranteed. The mild humidity at night allows a constant cultivation so the area is verdant for 10 months a year. After a long day at the beach coming back into the hills is calming and invigorating due to the cool breezes here. The air is fresh and balmy. The sky is a near constant bright blue and at night is full of stars. In the short winter, January and February, there is the possibility of an occasional snowfall but the temperature rarely dips below freezing. 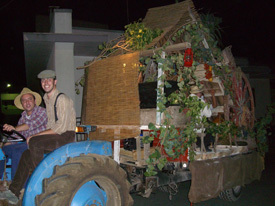 It is possible to plan out various cultural itineraries to meet your individual needs and interests. 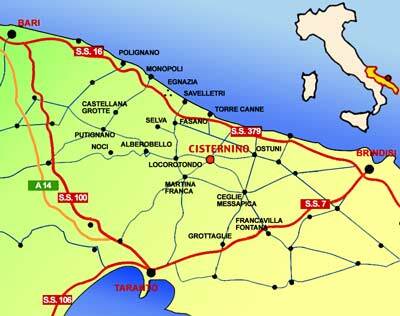 There are many museums and archeological sites throughout the region of central and southern Puglia. For example the ruins of the Greco-Roman port of Egnazia on the Adriatic Sea or Taranto, which was one of the capitals of Magna Grecia on the Ionian Sea with its famous collection of Ori jewelry from the era of Greek rule. The numerous and various churches from the Byzantine, some built into the rocks, for example that of San Biagio near Carovigno which was a refuge for his followers. The selection of Baroque churches throughout this region is quite impressive (the Romanesque style is more prevalent in the north of Puglia). The juxtaposition of this rich and noble style from the 1600 and 1700s with the sober and rustic architecture is quite fascinating. You can start from the historic centers of Locorotondo and Martina Franca and continue further south until Lecce, the honey tinted gem of the Pugliese Baroque. The natural landscape also offers many rich possibilities from the large protected areas of the inland plateau to the numerous sandy or stone beaches, some buzzing with life and some isolated and relaxing. There are numerous paths and trails that take one through centuries old olive groves and vineyards of Verdeca, Notardomenico and Alessano white grapes. 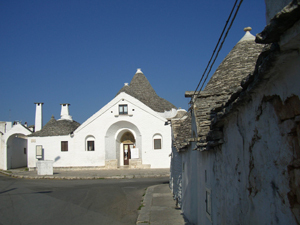 You can pass trulli and walk by the small stone walls which characterize this unique and prized region.